Although man was blessed with nimble, yet strong gripping limbs as compared to most animals, they are not quite strong or durable enough to handle some of the day-to-day essentials in life. Introducing The Knipex 8603250 10-Inh pliers is a revolutionary tool that can be used for holding, gripping as well as bending smooth parallel jaws to avoid causing damage to the plated and soft fitting of any given item. Besides that, the 8603250 also comes with a superior can ratcheting functionality that provides simple and incredibly fast pliers operation. The inclusion of the adjustable memory button retains the jaw opening for any large-scale jobs, and the cam action design provides an excellent leverage as well as jaw capacity. The 8603250 also comes with a 13-position push button that guarantees a good fit on various workpiece sizes. It also comes with ergonomic and self-locking lever ratio that are better than 10:1 for the ultimate gripping power. Users will also have to appreciate the inclusion of the zero backlash jaw with a superb surface pressure that mitigates the likelihood of any damage on the sensitive aspects of the gripped item. The superior action of the jaws allows the screwed connections to be tightened conveniently and release with ease just by implementing the ratchet principle. Best of all, the blue-chip design of these pliers make it ideal for continuous use and the high cutting performance with minimum effort due to the excellent co-ordination of the cutting-edge angle, the ergonomic handle shape as well as the transmission ratio of the Pliers. On top of that, it comes with an easy to use design that comprises of a high leverage axel design with 24% reduction in required force compared to convention pliers of the same category for reduced user fatigue. The Knipex 860430 is also forged from oil-hardened chrome vanadium steel is not only tailor made for handling equipment but also provides an excellent aesthetic appeal. These pliers are useful for electrical work, plumbing, and building as well for anyone who wants to engage in DIY projects. Furthermore, the superior edges of these pliers make it ideal for electricians or metalworkers who want to bond two pieces of metal together perhaps by deforming or manipulating the pieces. 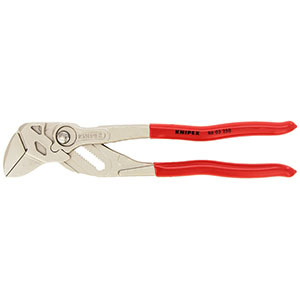 Users who want an excellent unit for working on plumbing jobs, as well as various other types of items whereby one needs a secure grip on things to get the job done, should also purchase these Knipex pliers. These pliers are also ideal for those who want to assemble mechanical items such as beds or perhaps some car parts. 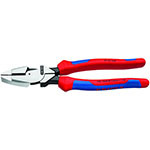 There are times when these pliers might also be perfect for press fit applications since the parallel and non-serrated jaws are ideal for clamping onto objects. As one of the most common hand tools available out there on the consumer market, the pliers can join, grip and cut a broad spectrum of materials. In most cases, excellent pliers require minimal force from the user to get the job done. When purchasing your pliers, it is important to be aware whether you need a set of pliers or one unit that can cater for your specific needs. This is because pliers are available in many different types, such that choosing the correct one has its inherent benefits for the user. One should also evaluate the pliers for an ergonomic design and other user-focused features. To be specific, the ergonomic design helps ensure that the product is sitting comfortably on the user`s hands even after an extended period of use. This kind of design also helps ensure that the unit is highly portable making it an excellent addition especially for users who are always on the move. Any top-notch pliers should provide the user with a stable grip on the desired object. However, to be able to achieve the best possible grip, the user needs to select the correct type of pliers. The consumer market is packed with a broad spectrum of pliers designs. Some of the noteworthy models include the split joint pliers, pump pliers and insulated pliers amongst many others. Pliers are typically made using metal, although some contemporary models come with plastic that provides more insulation and comfort in the user`s hands. Regardless of the individual material type used to construct the pliers, most of these things typically come with two main types of joints. The slip joint pliers allow the user to calibrate the grip to the object held by the pliers. Slip joint pliers come with a solid metal pin or river the hold the pliers for any size. Before settling on a particular type that suits your needs, it is important to know that there are many pliers are available out there on the consumer market. Every pliers has its unique characteristics that make it ideal for completing the task. Pliers that come with adjustable wrench help to spread the jaws slightly when moving the pliers to a new position and then gripping on an item and turning. It is equally important to be aware that pliers come in a broad range of sizes that are ideal for various types of jobs. For instance, we have jewelry pliers that are much smaller than water pump pliers that are needed for large machines and equipment. There also the cutting pliers that comes with sharp edges that are ideal for cutting through metal and wire items. The electronic pliers typically have small jaws that are excellent for delicate use as they provide sufficient accuracy when cutting. Besides that, we also have the pump pliers that function similarly to most wrenches. 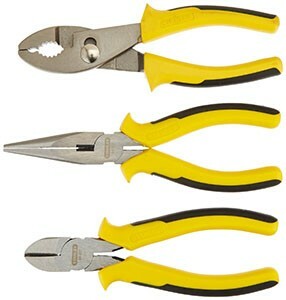 These types of pliers are typically found in the DIY or small-scale professional toolbox. If you want pliers that are best suited for electrical purposes or perhaps one for intense temperatures, then it is important that you select one that has sufficient insulation. This is because the jaw shape and size distinguishes a majority of pliers but not the insulated functionalities on the same. It is important to know that these types are available in myriad forms and can be as short as electronic pliers to as long as the needles nosed models. 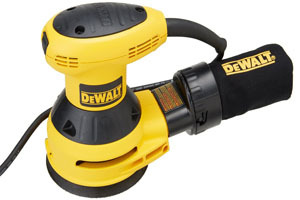 In detail, what is referred to as the dielectric coating on the handle defines the insulation quality of pliers. Before choosing an excellent product, we start by short-listing some of the best selling units available out there on the market. Following this, we evaluate every one of the items that can be found on the list based on few factors and research strategies. 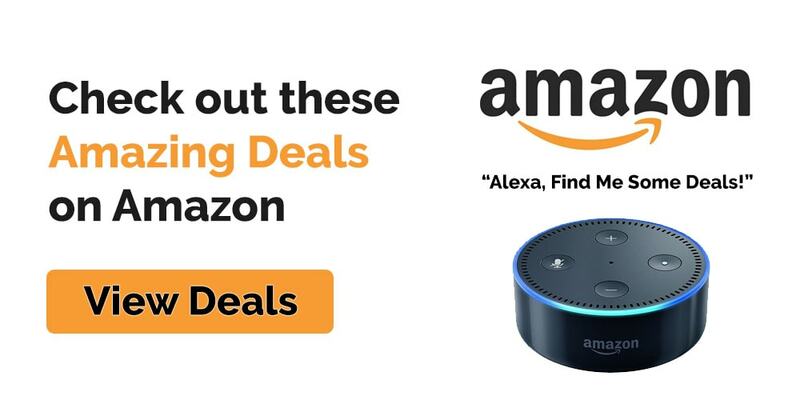 For instance, we tend to start with the customer reviews on the on popular shopping websites such as Amazon. After this, we take our research efforts further into the realms of the professional world as well as some of the popular product review blogs and magazines. As a result, we were able to come across the Knipex 860430. According to sears.com, these pliers are excellent for holding, pressing and bending. The Zero backlash of the jaw surface pressure mitigates the effects of any final damage on the workpiece. With a 10 to 1 lever transmission ratio, users can be able to use it for a vast array of settings. It also comes with push button adjustment for additional user convenience. According to the toolguyd.com, the main benefits of these Knipex pliers is that they come with dual leverage jaw functionality, which can deliver an extraordinary amount of pressure based on the individual design of the jaws. More so, they are simple to adjust by using the push button quick adjust feature. While each unique only encompasses a small range of item types, the pliers are also designed to be highly convenient and versatile. Experience the superior quality of the Knipex 09 02 240 SBA 9.5-Inch Ultra-High Leverage Lineman’s Pliers that come with a unique river that is more compact sized and is closer to the jaws to provide an ultra-efficient design for optimal cutting power. It also comes with a serrated and crosshatched knurled gripping zone on the jaws that are ideal for gripping and pulling applications. Additionally, it also comes with a recess on the rear section that features an oval shaped design that works well on the round and thicker cables. For additional gripping zone below the joint, this Knipex tool comes with a superior design that is strong enough for pulling and gripping of wires. The precise and induction hardened 64HRC cutting edges provided extensive usage that is ideal for cutting hard and soft wires. Besides that, the contemporary lineman design makes this product more competitive in the consumer market due to the exceptional effectiveness and efficiency that it can provide for the user. In fact, this high leverage linesman style design has been shown to require 40% percent less effort due to the unique lever pressing action. The additional gripping zone below the articulated joints provides a great angle for pressing functionality. The effective and cross wide serrated gripping area in the jaws o the unit provide an excellent platform for pulling and gripping. 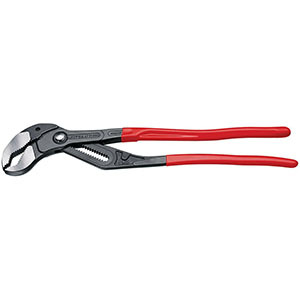 The Knipex 09 02 240 SBA 9.5 inch pliers also delivers dynamic cutting capacities such as the 4.6mm for medium hard wire and the 3.0mm for hard wire. All these functionalities and more make these pliers a reasonable investment for various types of applications including but not limited to plumbing, electrician as well as mechanical jobs. Overall, when all factors are considered, pliers are handy tools that should never miss in the toolbox of any technically perceptive individual or perhaps anyone who wants a convenient solution for manipulating items. The consumer market is packed with a broad spectrum of pliers which can make choosing an excellent pliers a daunting task. For that reason, the Knipex 8603250 10-Inch Pliers come with a host of exceptional features that makes them perfect for electricians and plumbers amongst various other professionals. However, since the jaws are capable of producing intense pressure, it is important that you use the tool safely and keep it safe from the reach of negligent children.